Probably everybody has tried to run his or her own blog. Someone does it for amusement, others to fulfill their hidden potential and some people make money on this. In any case there are lots of bloggers who make the same mistakes while launching their blogs and do not notice them for some reason. Let’s try to learn what dumps bloggers got on their heads and in what traps do the bloggers fall. Wrong topic of the post you’re going to post in your blog. In other words you have chosen the topic which has already been covered many times and is of little interest to the readers. Excessive personalization in any topic is a mistake as well. If you want to write only about yourself or focus on your interests and preferences, it will wok only if you are a super star or a public person at least. In all other cases the posts like “Why I prefer suede shoes to the leather ones” will hardly be interesting to anyone. Paragraph your text. To understand the matter, go to the site of Wiki and find there the description of an andron collider for instance. Now copy the whole text to the clipboard and paste it into MS Word, delete all the paragraphs and try to read it once more. How do you feel? I think horrible since it’s terrible to read a big passage of a text about unknown things. Hence, learn one simple thing: when you write a post everything seems clear to you, and even if you don’t want to paragraph the text in order not to interrupt the thought, do not do it. What is clear to you can be Greek to your readers. The reader needs the text that can be comfortable to read and to remember. One more important issue is that the readers like to mark some paragraphs that have interested them. Thus try to divide your posts into small passages. There is one more proven rule: the best size of the paragraph is not more than 5 lines. Make a rule for yourself: always check the post you have written. And it would be better if you do this in 20 minutes after you have finished writing. That 20-minutes break will fresh your thoughts and mind and help you to find even the most insignificant mistakes. So, for example, the professional writers who write the books follow this rule strictly. They take a break after each writing session and after some rest read everything they have written before. Well, 10 minutes spent for checking may save you hundreds of readers who one day will leave your blog being tired of your mistakes. Remember, no matter what are you writing about, if you digress from the topic chosen it may result in failure. Any person when reading a post always gets ready for some definite topic he or she is interested in. The reader keeps in mind some names and events you mention in your post and wants to get more information on the topic he/she is interested in. And if you decide to depart from the subject chosen your reader will scroll this passage at best, and then swear the author. And at worst you will lose the reader. Use your sense of humor when writing your blog. Do not be afraid of cracking the jokes. However you should draw the line and never overstep it. Remember that humor let the readers feel at ease hence they may fall in love with your blog only because it grants them some positive emotions and a good mood. This mistake is very common, and even the professionals make it. You should always think how to comfort the navigation not only on the main page but on the others as well. You can reach this by using all the opportunities of the modern CMS for blogs, and simply by watching at your blog through the eyes of your readers. Readers do not like when everything is lumped together, they like well-separated content blocks, bright headlines and various buttons that let them browse the site effectively. 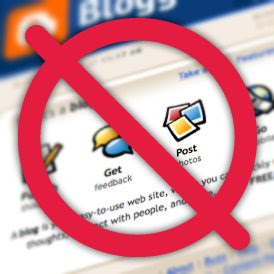 Unfortunately many bloggers think that people will not want to subscribe to their blog. That is a great delusion since most people do not like to waste time to check the updates on the site. For that reason try to place the orange icon of RSS feed subscription in a plain view. Surely nobody will make you communicate with other bloggers if it is unpleasant for you. However you should consider how useful and pleasant such communication can be. So, if you communicate with the people who cover the same topics as you do, you may share your opinions, argue or even to organize some writer duel where the readers will vote and find the winner. Besides when associating with other bloggers and adding more friends to your list you may find the people holding the same views who will cite your words and leave the links to your blog on various sites that finally will bring more traffic to your blog. If you like texts solely and do not accept any pictures, if you have an aversion for all the colors except white and black, it means that very soon you’ll be tired of writing your own blog. You should always remember that people perceive the graphic information better than of any other kind. Try always to put the pictures, work over the design of the blog and do not be lazy to create beautiful thing. To reach the optimal number of pictures on the page use a simple rule: not more than 3 pictures per each three paragraphs. It would be better if you put pictures in text. Try to do it so that readers could come to your blog not only to read some interesting things but to look at your blog project! Many webmasters show compressed photos on websites because it decreases the loading time as well as load on webserver. But some new bloggers often using MS-paint saves and upload photos in BMP format. Sometimes these uncompressed files are 10 time larger than their compressed JPG/PNG counterpart. Perhaps, this mistake is one of the most important ones. Some professional journalists say that sometimes a headline brings 90% of success. Your post can be not interesting at all though if you have a talented headline that challenges to open the post and to read your thoughts it means that you have succeeded as a blogger. Try to choose not very long one (consisting of 5-8 words) which can be written as some provocative questions or, on the contrary, as the answers to some questions. So, for example, if you write about your dreams or tell your thoughts on such phenomena as a dream, and put a heading “Mystery of dreams was solved” the readership of your blog will be high. Stop thinking of getting money right on the start. I see a number of my friends who started blogging after seeing me thinking getting money is easier. My first 100$ came after 3 months . That's also a high efforts are needed for me to do that I put a lot of man hours those days checking the adsense websites and learning about SEO optimization. Stop writing about every thing if you are looking for some big thing in the future. Many of the new bloggers read about the keywords and the list compiled by some people and then write about each of them with topics related to insurance, pharmacy and all. But it's neither going to get you some good readers nor going to improve your earnings. Choose a particular area of interest in which you have prior knowledge and share your knowledge with others. Submit you blog to any directory or search engine you find.If you are lazy in submission, forget about the traffic then. If you don’t have time to post timely replies to your visitors my suggestion is to better remove comments sections from your website. A repeat visitor will probably go away from your site if his comment remain unanswered after 24-48 hours. Rushing just to add some content to the page will also effect your regular readers. Maintain quality. Come up with post titles which are relevant to the post and which are attractive. It will be better if your blog title is also relevant to your writing or is famous word. Take enough time to compose a post. One single post can make you famous. I take a lot of time compiling a single post. This is the mistake made by new webmasters. These webmasters shower the visitors with pop ups. Whenever they see some new scripts on Internet, they use it in their websites. It irritates your users and also increases loading time of your site. Either create a posting schedule and stick with it, or decide to write when you feel like it and do that. But don’t go into the land of wishy-washy and spend the first paragraph of each post apologizing for not writing in days. No one cares all that much. Just write the post. An apology says, “I’ve already messed up bad.” Your readers rely on you to entertain them in some way. Don’t wimp out on them! Here’s the deal. Stats are a good barometer for some things. Especially if you have a clear-thinking mind. Or if you’re approaching your blog experimentally and viewing your stats with a marketer’s mindset. But if you’re mindlessly checking stats all the time, looking at your affiliate earnings every hour, then it’s time to step AWAY from the computer. Go play with your dog. These option is called as auto play. We know most of the visitors have limited bandwidth. Additional video data you force your visitors to download gets directly transformed into anger they feel toward your site/blog. They most probably close your website rather than searching for a pause button. With free WordPress themes and Blogger layout availble in abundance, resist the temptation of changing your theme regularly. If you want a new look do some minor changes in the theme but don’t change it completely every week or fortnight. Finally don't abandon your blog after sometime when you are not able to make some money. Have patience. Keep coming with good posts. Maintain your blog that way for a year or so. I guarantee you, some day your blog pays you all your hardwork back.